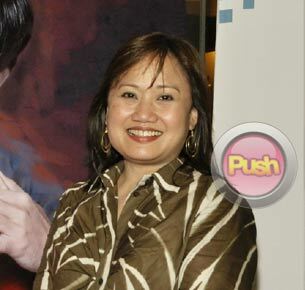 The In The Name of Love director says it was a very fulfilling project. Proud to be at the helm of Star Cinema’s 18th anniversary offering In The Name of Love, Director Olivia Lamasan shares how it feels to be part of a movie project that had a very unorthodox storyline. “I feel very honored na yung pelikulang ginawa ko ang naging anniversary offering ng Star Cinema. One thing that got me interested in the script is the unexpected way of storytelling. Unexpected ang kanyang structure. It was a challenge for us to be able to tell a story and engage the audience na despite na unusual yung structure, engaging pa rin sa manonood. Kasi the film poses a question eh, how far will you go for the person you love or how far will you go in the name of love? During the course of this movie, we tried to answer that question and I realized na di ko siya masagot verbally. It’s something that happens, it’s something that’s not said,” she shares. The writer-director, who was also responsible for memorable films like Sana Maulit Muli, Madrasta, Got 2 Believe and Milan had nothing but praises for In The Name of Love’s lead stars Aga Muhlach, Angel Locsin and Jake Cuenca. “I’m so proud of them. We did this movie for more than a year. Grabe iyung pinagdaanan naming difficulties. But at the end, I’m so fulfilled and I’m so happy and proud of the performances, kung paano sila nag-evolve as actors,” she says. Direk Olive also admits that she was also pressured to perform well after seeing how professional her cast performed on and off set. “Matalino silang artista. Kailangan your on your toes kasi nandito ka bilang director to guide them. You also have to be sensitive kung paano nila nakikita characters nila. I believe in collaboration. I really entertain that. In fact, I encourage na magbigay sila ng insights sa characters nila,” she explains. Direk Olive also applauds Angel for her dedication to her role. “Si Angel talaga masipag na artista. She would read, ask questions and do research on her own. Sa huli, parang nabuhay si Cedes. Parang siya na si Cedes,” she adds. Direk Olive was also pleasantly surprised at how Jake worked since it was her first time to work with the young actor as his director. “It was great. I’m so proud of Jake! You should see him. We would study the character together. I would ask him about his character and we discuss it. We did a lot of research. Ilang beses kami umupo ni Jake para ma-discuss yung character niya,” she recalls. Direk sums up her working experience on In The Name of Love as one big collaborative effort that was everybody’s own little labor of love. She adds that it was worth working on the project for such a long time. “One thing that makes it worth it is yung realization ng vision mo as director. Na na-achieve mo iyun. Na na-achieve niyo yun together. I was very, very lucky to work with brilliant men in this industry. Young ones, old ones, our writer Enrico Santos and his brilliant ideas. I’m also very lucky to work with a very young director of photography na si German Claravall. Ang galing ng ilaw niya. The lead stars Aga, Angel, and Jake also gave their best. They were able to evolve as actors. Fulfillment na sa akin iyon,” she says.